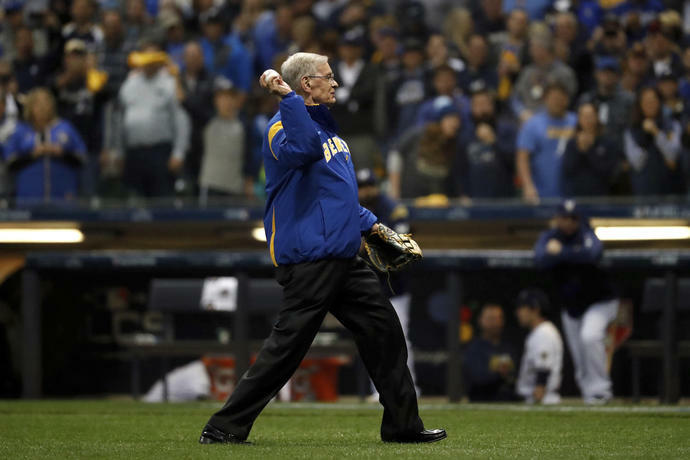 MILWAUKEE (AP) -- Former baseball commissioner Bud Selig still would like to cut down the time it takes to play a game. The average length of time for a nine-inning game was 3 hours, 44 seconds this year, down from 3:05:11 in 2017. Games have gradually taken longer since 2005, when the average length was 2:46. Speaking before Game 6 of the NL Championship Series on Friday night, Selig said 2:45 would be an ideal length. ''I keep being reminded by guys who played the game for years, they never stepped out of the box, nobody ever allowed them to step out of the box,'' Selig said. 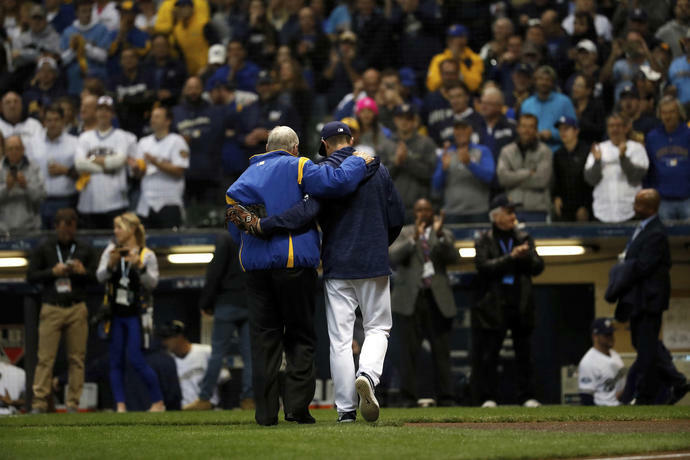 A Hall of Famer and former Brewers owner. 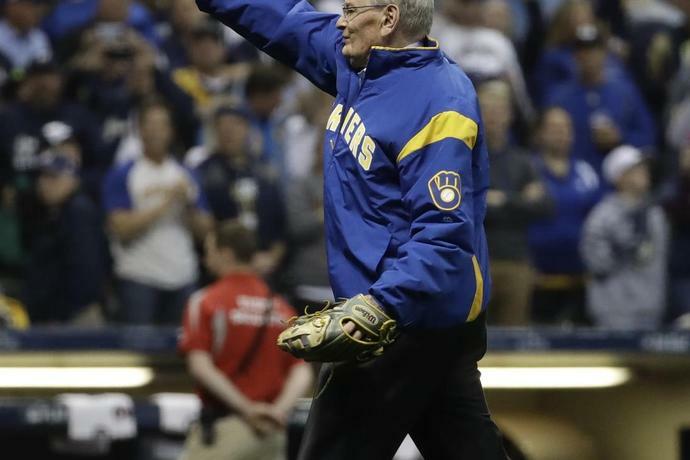 Selig threw out the ceremonial first pitch before Milwaukee hosted the Los Angeles Dodgers. Replay reviews and commercials are among factors that have lengthened games. Selig said it was hard to be critical of teams that chose to long-term strategies to rebuild back to contender status, a path followed by the Houston Astros and Chicago Cubs in recent years. ''Tell me another way, especially if you're in a medium to small market, but even in a big-market club, that you can rebuild if you don't have a farm system that's producing top-notch talent. There is no other way,'' Selig said. So all these people that (complain) and yell and scream and holler - if you ask, 'What's your alternative?' They don't have one,'' he added.